This past weekend CalJam Festival returned to San Bernardino and proved that rock was indeed - not dead! Foo Fighters, Iggy Pop, Garbage, Manchester Orchestra were just a few that graced the stage and put the crowd in a frenzy. Although it is only its second year around, this is one of the few festivals that have actually lived up to the hype since its inception and this year was no different. Earlier in the day Manchester Orchestra showcased their talents, which boasted just how far they have come in the past year. The upstart rockers of course played their hits such as "I've Got Friends," and their aggressive single, "Shake It Out," and closed with their famous hit, "The Gold." 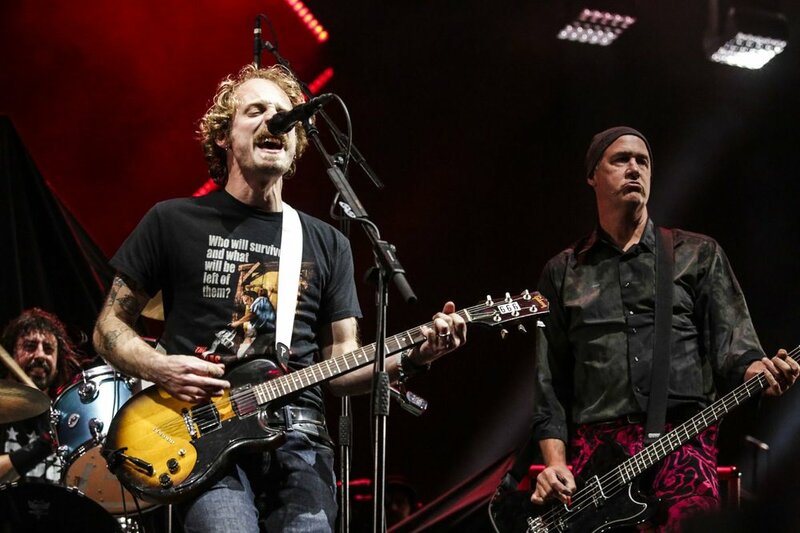 John McCauley, center, plays with Dave Grohl, left, and Krist Novoselic of Nirvana at Saturday's Cal Jam festival. Photo Credit: Maria Alejandra Cardona / Los Angeles Times. The real highlight of the evening was when Foo Fighters took the stage! 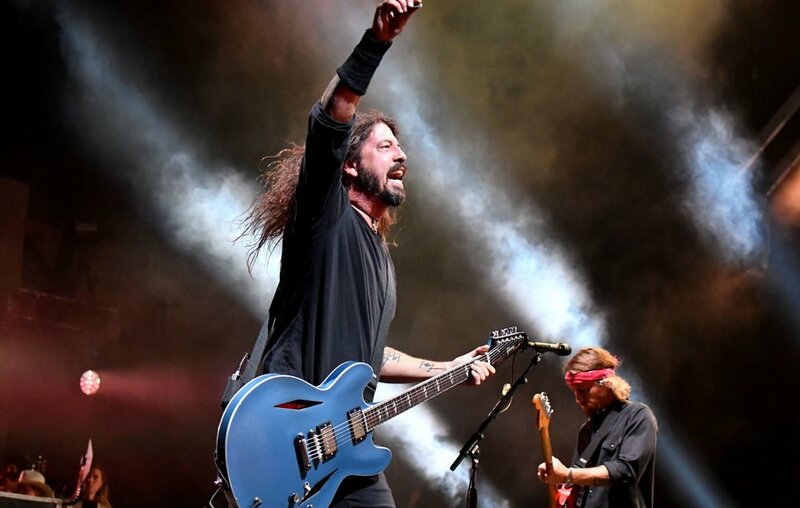 “Tonight we’re going through the years,” Grohl told the crowd. “Going way back.” The rock band has been on quite a run this year! Not only did they headline KAABOO, a three-day music festival in Del Mar, they also performed for the non-profit organization, Autism Speaks, earlier in the week. If anyone has ever seen Foo Fighters live, will know you are in for a treat. With so many remarkable hits, it's hard to pick a favorite. While the crowd was rockin' out to the two-hour set we were all pleasantly surprised when all of the rumors of CalJam came true! 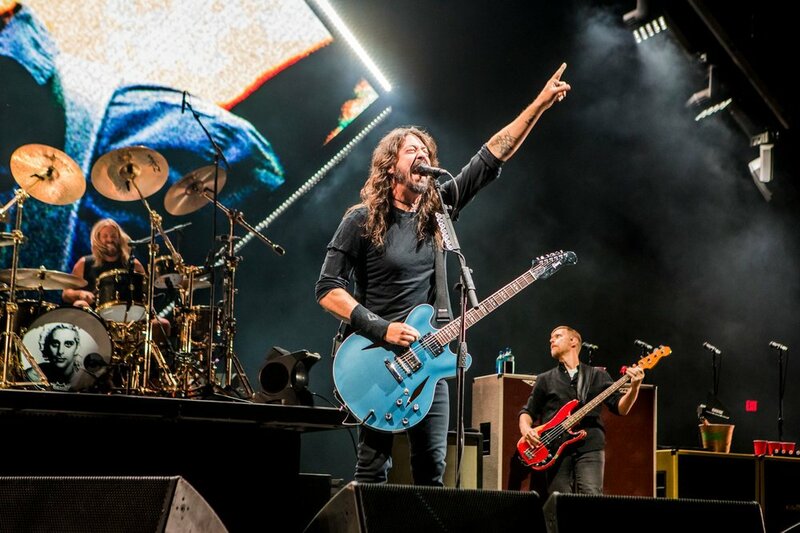 NIRVANA joined the Foo Fighters on stage for the first time in about 4 years! Pat Smear and Joan Jett play Nirvana's hit song "Smells Like Teen Spirit" at the Cal Jam festival at Glen Helen Regional Park in San Bernardino on Oct. 6, 2018. Photo Credit: Maria Alejandra Cardona / Los Angeles Times. It was a stellar weekend full of classic rock and reliving rocks highest moments! CalJam, once again, pulls off an impressive weekend of music and is a very progressive festival might I add!